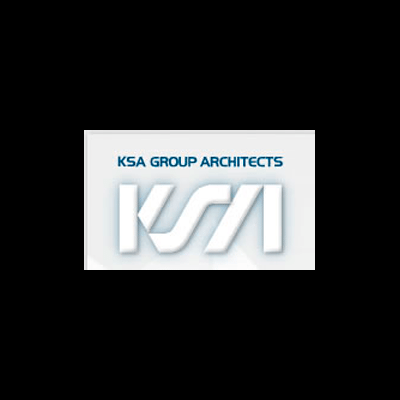 KSA Group Architects is an award winning architectural firm whose services include Architecture, Site Planning, Interior Design and Landscape Architecture. Founded in 1973, it is currently owned, operated and administered by its President, Mr. Derek Holdsworth, AIA. KSA Group Architects has, within the last ten years, designed over three million square feet of office, industrial, health care, commercial, residential and institutional projects. This extensive experience has made KSA Group Architects familiar with all aspects of facility planning and design. Foremost among these is an understanding of construction techniques and specifying materials and equipment that lower long-term maintenance costs, and provide a building envelope and metabolism that reduces energy consumption. KSA Group Architects has an established policy that all projects, regardless of their size and scope have the full involvement of a principal of the firm. We have found that the most successful projects result from a clean and concise communication process between the Owner and the Architect. This will be accomplished by insuring all contact between the client and KSA Group Architects will take place through the principal in charge. This same individual will be responsible for design, supervision of the preparation of the construction documents, and observation during construction. It has been our experience that the direct and continuous involvement of one principal of the firm from project conception to completion provides the Owner with the continuity and responsiveness of a small firm, but yet at the same time allows the client the opportunity to take advantage of KSA Group Architects technical staff size and experience traditionally available only in larger firms.